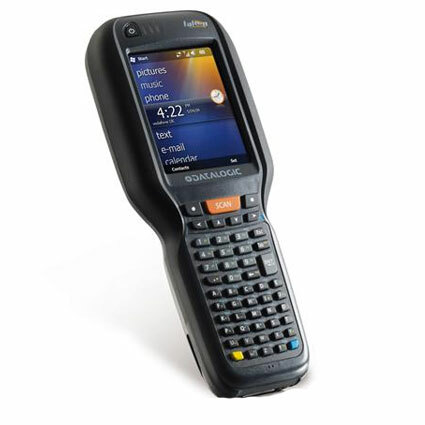 A newer version of the Datalogic Falcon X3, the Datalogic Falcon X3 Plus is now available. 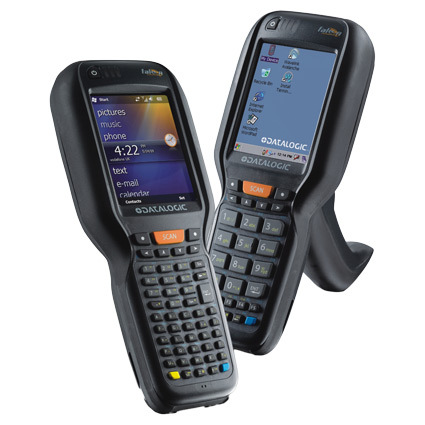 The Datalogic Falcon X3 mobile computer offers advanced data capture and uncompromised durability, excellent for warehouse or large retail data management. The Falcon X3 comes with your choice of standard range laser scanner, auto-ranging long-range laser scanner, or 2D imager, so no matter your data capture needs, there´s a Falcon for your business. Datalogic built the Falcon X3 with durability in mind, giving you a mobile computer capable of surviving harsh conditions. The reinforced overmold body protects the unit from drops of 6-feet to concrete. Rubberized seals not only offer an IP64 seal to keep out dust & water, but insulate the Falcon X3, allowing it to operate in incredibly cold environments. With a 1 year factory warranty and extended coverage through Datalogic´s EASEOFCARE program, the Falcon X3 is a smart data management investment. •Hand held: 3.5" x 2.2" x 8.9"
•Pistol Grip: 3.5" x 6.6" x 8.9"